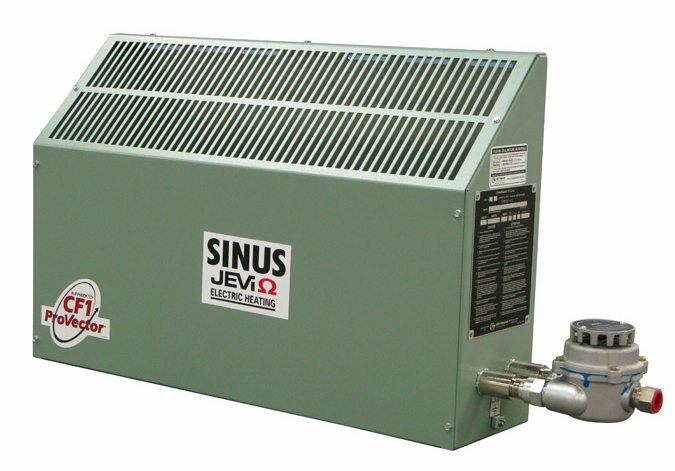 Sinus Jevi CF1 are for hazardous locations heating, rely on the CF1 heater for the most dependable, trouble-free service available. The CF1 heaters are manufactured to satisfy the demanding requirements of the oil and gas drilling industry. The unique design features and rugged, quality construction details that have made CF1 heaters the choice of the oil and gas industry are also appreciated by other heavy-duty industries throughout the world. *An optional built-in thermostat is not available as it exceeds current capacity. To order a heater with a built-in room thermostat, add a ”T” suffix to the article number.